While approved by Planning at the end of last year, an appeal aiming to block the plans for a seven-story development to rise on the northwest corner of Folsom and Russ Streets, upon the Fondue Cowboy and Deli Board site, has been upheld by San Francisco’s Board of Supervisors and the project’s approval has been reversed. 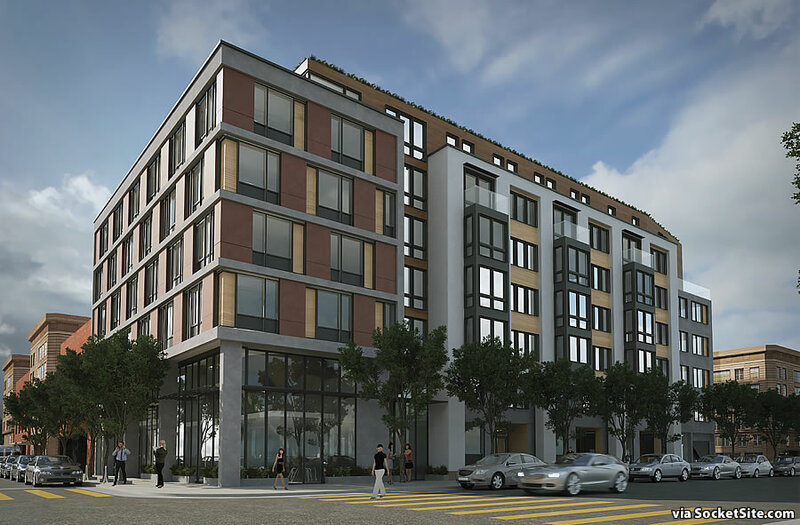 As designed, the 1052-1060 Folsom Street development, which includes the parcel at 190-194 Russ, would yield 63 condos over a garage for 17 cars and 2,800 square feet of new restaurant/retail space on the corner. 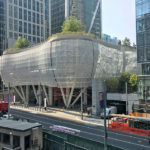 But at seven stories in height, it would also cast new late afternoon shadows on Victoria Manolo Draves Park across the street, shadows which are specifically governed by Proposition K, San Francisco’s “Sunlight Ordinance,” which was adopted back in 1984. And while San Francisco’s Planning Department had found that the project’s design was compatible with the pattern of development in the neighborhood, and that the additional shadow cast by the project “would not be adverse and is not expected in interfere with the use of Victoria Manalo Draves Park,” findings with which San Francisco’s Planning Commission had agreed, the findings were successfully challenged by Sue Hestor, on behalf of the South of Market Community Action Network (SOMCAN), last night. As such, the height of the proposed development would either need to be reduced or its impact reassessed and reconciled with prior Proposition K findings and determinations. We’ll keep you posted and plugged-in. Mmmmm progress. Great to see the city officially moving backward, finally. They should shave off 2 stories. Save our parks from shadows from penthouses for the rich. Let’s let marginal infractions of antiquated nimby rules from the 1980s, overturn the production of housing during this climate and housing crisis. Exactly. I live in the neighbourhood and they have been writign in chalk all over the floor to draw attention and protest this. What a joke. I’ve lived in SOMA for 10 years, and this is the stuff that makes me hate the city and it’s “go backwards” progressives. When will people wise up and realized that “progressives” pander to the lowest common denominator that completely destroys the fabric of a city? It took 80 years for marxist/communist dogma to be debunked (although unsophisticated social justice types, still pine for it). Speak up loud and forcefully people, why go though 50 more years of hell, to reach the inevitable failure. Resist the bankrupt and unsustainable dogma now ! Planning approved. RDAT approved. Planning Commission approved. Board of Appeals approved. they should have no power over this. A little shade on what? A marginal fraction of sunlight hours ? Is a deal breaker. But human sh*t, rivers of piss, mounds of filthy garbage and discarded syringes everywhere, are not too much for us to put up with. I surprised the delusional BOS does not pass a resolution condemning night time. and they vote to reverse a project. Not one of them has a spine. I would note that the one issue is not really related to the others. This housing will not eliminate or even reduce the problem. That would require a difficult rethinking of personal freedom issues, a serious restriction on some people’s lives, and even more money than we now spend. The homeless, the working class, will not be affording this housing. Plenty of data points show that building housing like this greatly reduces likelihood of the haves displacing the have-nots from their existing homes. But yes, the US is deeply ambivalent about maintaining the freedom to be mentally ill in public. Restrictions on peoples lives?The vagrants are the ones who get a free pass, they do what ever they want with total impunity. But if you are a productive citizen with a job and any income, you are forced into a hell of government regulations and permits, to do anything at all with your private property, let alone cast a minor shadow on public property. Regulation inequality is rampant in San Francisco. It needs to be addressed. Uhm, thanks for grouping the homeless and working class together. Demographics 101? Basically, if 7 stories will cast a shadow then nothing will be built of any reasonable height or density. As many others have pointed out, how about the BOS focusing on cleaning up the streets. And, for the record, you can put up a million dollar condo in a seedy part of town but all that means is someone has bought a million dollar condo in a seedy part of town. 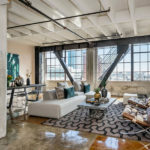 Look around central SOMA and the market rate buildings that have gone up. Then look at the streetscape. Enough said. why should heroin users pooping have to suffer through the misery of a 15 minute shadow June 10-July 10 at 8:10PM? how can you expect them to inject and poop at the same time without sunlight? Do we have a breakdown of how they voted? I would like to send them thank you cards for keeping prices high and preserving the value of my condo. I think it was 8 – 0 in favor of the appeal. The vote was 10-0. But keep in mind that new development tends to increase surrounding property values and rents, it’s not the other way around. I don’t live in the immediate area, so there’s no micro effect. But blocking new housing does serve to limit supply growth, which is great news for prices on existing homes. Which path increases prices more, encouraging production of a highly-speculative but illiquid asset, or easing up slightly on full-throttle gentrification? The problem with using an asset class like housing (that all people need as a basic element of survival) as one of two principal means of wealth extraction is that when prices rise much faster than wages, people who can’t afford the bubble pricing suffer. What increases prices more is increasing Supply more slowly than Demand is increasing. When that happens, prices increase and people who can’t afford those prices suffer. San Francisco and the entire Bay Area have been underbuilding for decades. It doesn’t matter if you don’t live in the immediate area, there’s a macro effect as well; driven by the relative values of neighborhoods and gentrification of the city overall. My understanding for these types of votes is that the supervisors follow the vote of the supervisor who’s district the development is in. This is in Supervisor Matt Haney district, so presumably he would be determining the boards direction on this. The vote was 10-0 with Supervisor Ahsha Safaí recusing himself because of a possible conflict of interest. Haney is useless and should be recalled. I can’t believe I actually miss Jane Kim and, God forbid, Chris Daly! Wow. Just wow! Maybe some people don’t like sun in their eye when it’s low on the horizon. “Sunlight Ordinance” is a really bad law. Where does the idea that shadow is a evil thing come from? A comfortable place has a mix of sunshine and shadow. We don’t prefer desert to a shaded garden. By the logic of Sunlight Ordinance, planting trees will be evil because they cast shadows?! Ban tree planting? The “Sunshine ordinance” should be overturned at the ballot box before it can cause further damage. How many more projects like this will you see cancelled before someone actually does something proactive and gets a referendum drafted and voted on. Remember Salesforce tower was held hostage over it casting a small shadow on Union Square and consequently had its height slashed, thus losing the title of West coast’s tallest to an LA tower. This law must be overturned as it makes it impossible for this city to grow in any meaningful way. It should be obvious that SOMA is not building their fair share of housing. The current residents should be grateful to those able to pay market rate because we all know that those with higher incomes will get rid of the crime, garbage and homeless encampments. If people really need to go to a sunny park they can always head over to Dolores Park. What I love it that the time is in the evenings between 515-615 February through October- Most of that time it is already Dark! But I agree, its ALMOST dark during the winter, if the sun hasn’t already set, thereby voiding a direct ‘shadow’. The sunset in June, the mid-point month, is typically around 8:30 PM. It’s around 5:45PM in February and 6:30PM in October. The community came out in opposition because the park is named after one of their own, and it was an affront to them to have any additional shade. Pure payback from the supes for something the owner did in other properties, nothing to do with this project. A reminder this ordinance was passed by popular ballot. I wonder if the “professionals” on this website would welcome a [new development] that blocks out sunlight from their neighborhood park. Development is fine, but instead of cramming more and taller buildings in the center there should be a focus on developing the Sunset and Richmond areas of mainly SFHs – four stories instead of two would be a more cost-effective approach. Try to build even a three-story building in the Sunset and the Richmond, and you will chewed apart by a pack of “concerned neighbors.” Residents of SOMA are not the only ones who file appeals and/or lawsuits to stop development. The problem with saying, “Oh, build in the Sunset and Richmond” is that many of the residents of those neighborhoods do not want new development either, and they say “build it somewhere else.” So, if no neighborhoods want to take new development where should it be built? As for the sunshine ordinance, it was passed 20 years ago. Times change, and so do the voters. Moreover, the city is given the authority to interpret the ordinance. It is not an outright ban on any new shadows, or else many developments that have been built over the past 20 years would have never been approved. Well, clearly, the only equitable thing to do is to target neighborhoods populated largely by poor people and people of color, like SOMA and the Tenderloin and the Mission. The Mission has a heavy rail corridor. SOMA was defined by underused and derelict large parcels for a generation. Do you know what the Eastern Neighborhoods Plan is about? but transit to the richmond is terrible. you can get to downtown from oakland, berkely, emeryville, daly city, san bruno, south SF all fast than from 10th and geary (inner richmond) (40 minutes on express bus). we should be building where people can walk or take BART or caltrain. transit situation from richmond is terrible, but many folks could walk from this SOMA location. SOMA and the mission are vastly underbuilding considering their downtown adjacent, walkability and transit options. Most of the comments above come from pro developer voices who most likely do not live in D6 or the SoMa. Stay focused for a moment. The appeal was not to kill the project. It was to keep the building from casting a shadow on a neighborhood park. What I’m reading in the comments above seem to be coming from pro developer voices who are not the least bit concerned about the loss of quality neighborhood open space. Fair enough. If you pro developers want more high rise development next to our D6/SoMa parks then build more parks in D6 and make sure the parks have an abundance of sunlight for our kids, pets, seniors, and families. “Neighborhood” meaning the residents can walk to their park. Not have to get on Muni or Uber or drive to, but walk to and enjoy the benefits of open space and sunlight. If you can’t provide new parks for D6/SoMa residents then leave our few existing parks alone. Wow, sounds like entitlement on your part. If you’re so vested in your neighborhood community then clean it up. Do something about the homeless, drugs, excrement that make your area so incredibly attractive. Focus on real problems instead of minimal shade on a small section of a small park during a short period of the year. Nothing like a completely baseless conspiracy theory to rally people to your side. It’s — and this is the nice way to put it — intellectually lazy and willfully ignorant. I am not a developer. I am a SoMa homeowner. It was shortsighted and stupid to kill this project for the sake of “shade.” Now the [Board of Supervisors] can go back to bemoaning the lack of affordable housing (that, once again, they contributed to). whats wrong with a tiny bit more shadow for a few minutes only 3 months per year? why is that a bad thing instead of a good thing? i certainly prefer for my kids to play in shadow 95% of the time for health reasons. if this was truly for children, the neighborhoods would be voting in favor of it. do you prefer poop and needles over shade? seems like a vastly bigger issue for public health? It’s not just wrong, it’s illegal and should be challenged. I wonder if the old school was still there, if this shadow issue would still have come up. You’re partly right. Open space sunlit parks are a entitlement. It’s a PUBLIC entitlement. As for being “vested in your neighborhood”. I am vested in my neighborhood. I helped raise the 4 million dollars in public and private money to renovate South Park. A 10 year long effort by neighbors who spent countless volunteer hours of time to enhance a PUBLIC space. We are not going to let developers F-ck up the few parks we have in D6/SoMa by encroaching on our open space with shade. You may think sunlit PUBLIC space not a big deal….it is a big deal and we are willing to fight for every inch of sunlight to keep our parks free from shade. As for the homeless problem. Look to the BOS and the voters for creating the mess. The voters approve the polices of the BOS. If they didn’t they would make changes. They haven’t, and so you step in and smell the results of their voting choice everyday. If you want to fix the homeless problem fix city hall. BTW…what have you done lately for your parks? Something tells, me not much. Can somebody put the community groups in the hot seat for money they’ve taken from developers on ZERO tolerance parks? Like someone mentioned before this has nothing to do with shadows. Might be London Breed’s next navigation center. The addicts can shoot up in the sunny park and then return to the center at night – all within walking distance! How many of you would love a commute like that?! Can anyone explain why Scott Weiner’s SB35 couldn’t be used to force approval of the project here? I was thinking the same thing. I thought the developers could invoke that rule, provided they are willing do offer some affordable housing etc.. I don’t know the nuances well enough to understand if it could happen though. My sources tell me this denial was 100% political. The property owner is notoriously reviled as one of the nation’s worst eviction landlords (NY Times) and the supervisors unanimously stuck it to him because of his history. This was political. The property owner/ developer was in the process of filing Ellis act evictions a couple of years ago, he never finished the process and eventually sold the buildings to the city. The community groups know that as they were present at the conference with Jane Kim and Mayor Ed Lee before he passed. No evictions ever took place. They just don’t like him. If it was a different developer maybe the groups would not have an issue. It is unfortunate that the BOS wields so much power and has the ability to overturn fully compliant projects due to a slight shadow infringement on the corner of a park for an hour. Development in this City has become political between the mayor’s office attempting to remove the red tape to allow much needed housing units to get built and the BOS and Peskin proposing communist-style BANANAS legislation. Still, I think the design of this project could be easily altered to reduce or remove the shadow infringement on the park.